If you haven’t used Hour of Code yet, or haven’t visited for a while, now is the time! There is a new and updated list of the activities and lots in there to try and to explore with your pupils. This is such a great resource and there is so much help and support for busy teachers. 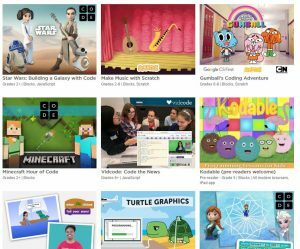 Everything you need to get coding with your class is in there – try an hour of code in your class, you wont be disappointed!